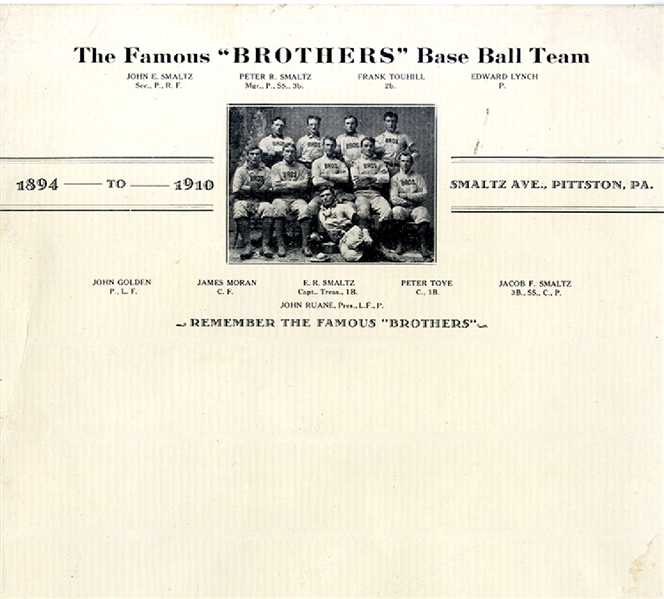 Titled “The Famous ‘BROTHERS’ Base Ball Team, 1894 to 1910, Smaltz Ave., Pittston , Pa.” In the center, a b/w image of the uniformed team of 10 men with each identified. Four of the men have the last name SMALTZ. Clean.